“What goes up, must come down.” This is a universal truth, and unfortunately for our skin, there are no exceptions. As time goes on, skin stretches out and sags, becoming loose and wrinkled. 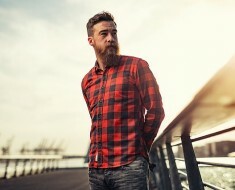 While we cannot eradicate the signs of aging from our faces altogether, there are several products which can help slow or even temporarily halt its visible affects. What you need is the best skin firming cream for face that can keep you lookign young. When shopping for creams to firm skin, you need to be aware of several things. The best things to look for in a skin-firming cream or serum is deep, non-oily hydration, and an acid or retinol to help speed up cell-turnover. Aging skin will never look exactly as it did in its younger years, but with a good firming face cream, aging skin can appear smoothed and lifted without immediate surgical nipping and tucking. In this article, we have selected some of the best firming creams that are availalbe on the market right now. They are listed below for your consideration. 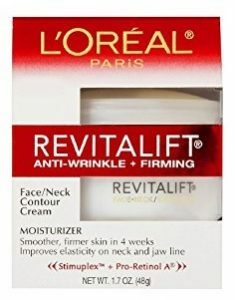 For those who love “miracle” drugstore products, try L’Oreal Advanced RevitaLift Face and Neck Day Cream. This product is very affordable, and does a good job of smoothing out and plumping up the skin. Its Stimuplex formula (a type of retinol) helps stimulate skin-cell turn over, and its moisturizing components keep the skin hydrated for fuller, more lifted skin. Users say they see results within just a few weeks of using this product. It’s a firming and moisturizing sking for both the fae and neck. Most people use it as a daily moisturizer and get the benefits of both a moisturizer and anti-aging cream. This cream is also non-comedogenic; which means that if you have a very sensitive skin, this product will go well on your skin without causing any reaction. It’s also non-greasy, which also makes it a perfect cream for those individuals that have oily skin. 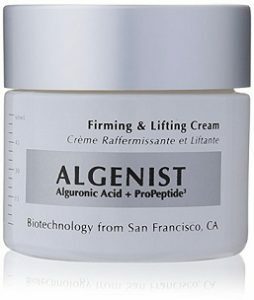 Firming and Lifting Cream by Algenist is a little of both old and new. It is a traditional face cream, but contains Alguronic Acid, which is a new formula derived from micro-algae to stimulate skin-cell growth.It’s a perfect skin firming cream for loose skin that works really well. Other ingredients include avocado and almond oil to replenish and hydrate the skin. Most users said that they noticed a lift to their skin in under thirty days. When compared to drugstore firming creams, this cream is slighlty on the expensive side. But, the results are definitely worth it. It’s not a new product and has been tried and tested by many people over the years. Application is real simple. You apply a normal amount to both the neck and face (avoiding eyes), twice a day. That’s it. Leave the rest of the work for the alguronic acid and ProPeptides that it contains, and notice the results within a month. Science has come a long way in creating new products specifically targeted at keeping ourselves looking and feeling as young as possible. 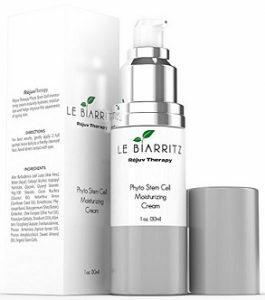 Le Biarritz prides itself on being on the cutting edge of skin care, using advanced cell technology. Their Anti Aging Lilac Stem Cell Face Cream & Moisturizer uses a blend of natural ingredients such as shea butter, aloe vera, and plant stem cells to promote skin cell revitalizing and hydration. 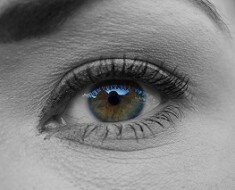 This product is safe for both the face and eyes, and is hypoallergenic with no dyes or fragrances. So many amazing things have been said about Philosophy’s Amazing Grace Firming Body Emulsion Lotion. It is great not just for the face, but for the whole body as well. It uses nut butters, and olive oil to naturally infuse hydration into the skin and give it overall softness. While it is a rich, velvety lotion, it doesn’t sit heavy on the skin. This product does contain fragrance, but even those with sensitive skin say that this product leaves no redness or irritation. Remember that a good moisturizer doesn’t have to be thick and creamy. Oftentimes a thin, light serum works just as well or even better to hydrate certain skin types. 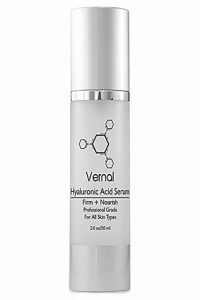 Vernal Skincare’s Best Hyaluronic Acid Serum fills in fine lines and wrinkles with a quick-drying formula that doesn’t clog the pores. Its vitamin compound works alongside hyaluronic acid to brighten and tone the skin. Users noticed a firmer look to their skin after just two weeks of using this product. Natural products are in more demand than ever, and the skin care market is no exception. Some natural products can be a bit pricey, but are usually worth the extra money, especially if you have extremely sensitive skin. 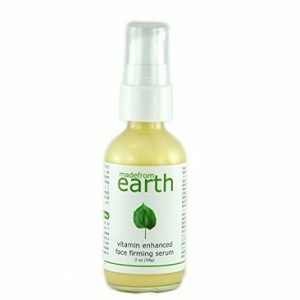 Made from Earth’s Firming Serum contains DMAE (a skin firming compound) and Vitamin C which works as a natural retinol to promote skin-cell turnover. This product contains almost purely natural, and organic ingredients, making it a great product for those who cannot tolerate harsh chemicals. When it comes to skin firming, don’t feel as though you need to buy a thick, heavy product to spackle your face smooth. Keep in mind that your skin will look more full and healthy if it is properly moisturized and that you are exfoliating enough (gently of course) to remove dead skin-cells. Experiment with the texture of your firming creams, and remember that serums or even lotions can work just as well. With the right products, your skin can have an uplifted look without being loaded down by cream! 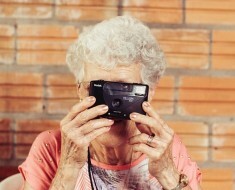 5 Best Inexpensive Moisturizer for Aging Skin That Work!